A Bristol-based charity that serves unwanted and waste food to the community will set up a mobile kitchen in Calais to provide for migrants living in makeshift camps. Bristol Skipchen volunteers are taking two tons of waste food to France this weekend to serve around 600 people a day with one hot meal – food which would have otherwise been sent to landfill. As well as collecting food from supermarkets and hospitals in Bristol, they will take some from a cooperative near Leeds and further donations from London en route to Calais. Marianne Musset, co-director of Skipchen, said after helping out in the Bristol community of Stokes Croft for eight months, the group looked for further opportunities to assist the hungry. The Calais project is planned to last one week. 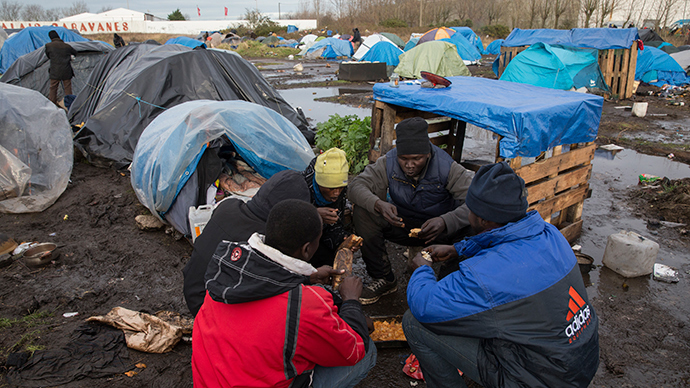 “The Calais migrant camp was a really obvious choice to us ... with all the anti-immigration rhetoric which is coming out with the national elections we wanted to highlight the issues and dispel the myth that we cannot afford to take migrants into our country,” she told Bristol 24/7. Around 2,000 migrants are currently living in Calais camps, many of whom have fled poverty and conflict in their home countries of Syria, Mali, Eritrea and Iraq. Refugees and migrants camped at the border crossing only have access to one water point and have not been provided with toilets, electricity or proper accommodation. “We all deserve the right to live free from oppression, we all deserve to be able to eat healthy nutritious food but also, because we are a food waste campaign group, all the food we will take with us is that which hasn’t been considered by society or supermarkets or the government as fit for human consumption – it is,” Musset said.